Syble Irene Methvin Smith, age 79, of Lawrenceburg, TN, passed away Tuesday, March 26, 2019, at Hospice Family Care in Huntsville, AL. She was a native of Lawrenceburg, TN, retired from Busy Bee Deli after 22 years of employment, and attended County Line Church of Christ. She was preceded in death by her father, Venson Staggs; her mother, Ruby Margaret Hill Staggs; her husband, Charles D. Smith; and one daughter, Pamela Dawn Smith. 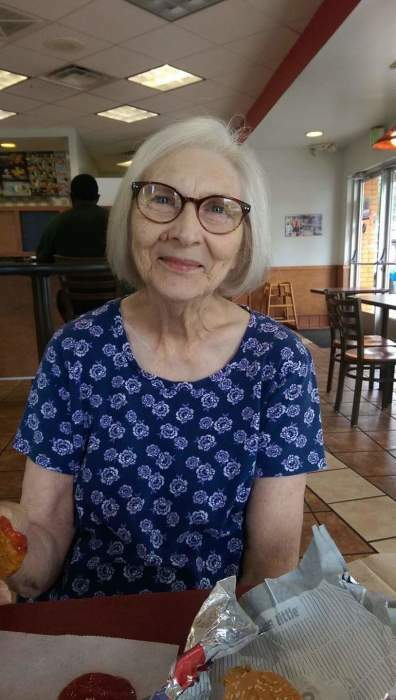 She is survived by son, David Lyle Smith of Columbia, TN; daughter, Shelia Michelle Smith of New Hope, AL; four grandchildren; eleven great-grandchildren; and one sister, Shirley McDonald of Lawrenceburg, TN. Arrangements are being handled by Neal Funeral Home, 231 N. Military Avenue, Lawrenceburg, Tennessee. The family will receive friends from 5:00 PM to 8:00 PM Saturday, March 30, 2019 at Neal Funeral Home. Funeral services will be conducted at Neal Funeral Home at 3:00 PM Sunday, March 31, 2019, with Steven Clanton officiating. Interment will follow at Lawrence County Memorial Gardens in Lawrenceburg, TN.